Miami Mold Specialists Brokers Exclusive Deal With Innovative Solar Power Manufacturer, Adds Solar Powered Attic and Soffit Ventilation System Installation Service. Miami Mold Specialists Announces Launch of Brand New Line of Solar Powered Soffit Ventilation Systems. In our current age, the eco-friendly trend has finally taken a solid foothold globally. People and corporations alike are all seeing the physical short and long term benefits in regards to a healthy global environment, not mention the subsidies, tax breaks, and cost savings related programs provide. Solar Power has been a growing eco-friendly trend for many years with many innovative products being developed and progressively evolved. Attics in South Florida homes can reach an excess of over 150+ degrees. Solar powered attic ventilation systems significantly reduce temperatures of upwards of 30+ degrees, decrease humidity levels, while substantially reducing the chance of a toxic mold infestation from ever developing in a homes’ attic. Integrating solar powered systems into a residential home can drastically reduce a monthly electric bill, takes just a few hours to install, and also entitles the home or building owner to claim a 30%+ tax credit. “After serving thousands of jobs, we are realizing that taking humid air out of the attic is one of the most efficient preventative measures a homeowner in South Florida can use to prevent mold growth in their homes”, stated Marty Katz, the operations manager for Miami Mold Specialists. According to Miami Mold Specialists website, the solar powered fans are installed on both sides of a home or building. The fans assist with removing moist, stagnant air from the attic. This helps keep a home or building’s average temperature lower, allowing the HVAC system to run less throughout the day. The fans also assist with keeping the attic insulation and roof shingles cooler, in turn, increasing the average lifespan of these critical components of the home or building. 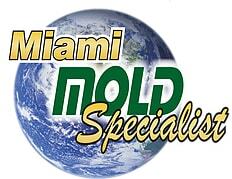 Specializing in high tech mold inspections, 3rd party “conflict free” mold testing, and rapid mold removal services. Offering 24/7 emergency response, eco-friendly mold remediation services, and a signature 2 year warranty.